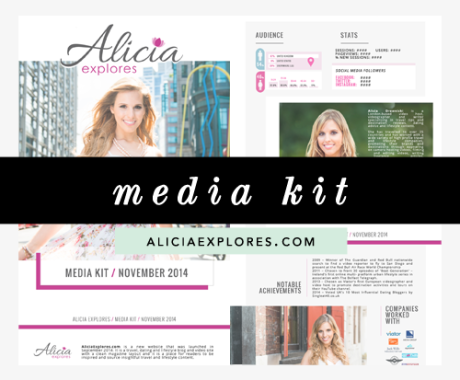 This project involved a full rebrand and portfolio design. 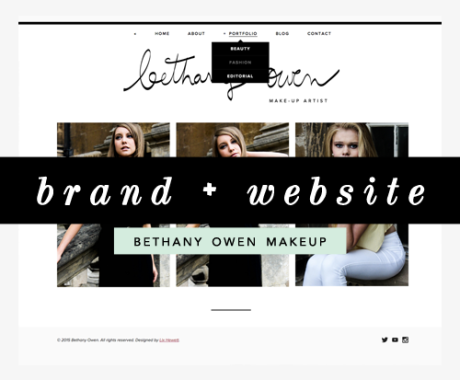 Bethany, a makeup artist based in Hertfordshire I’ve worked with before as both model and photographer, wanted something special and professional to appeal to fashion photographers. 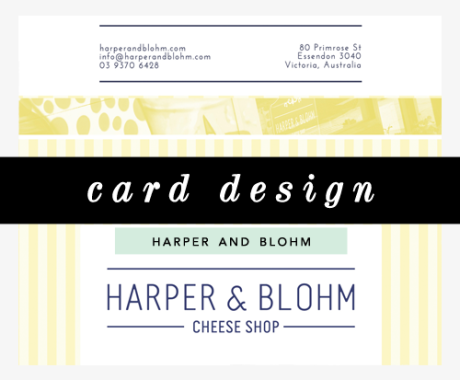 We started out with sketches to create a one-of-a-kind logo and settled on a hand-lettered version of her name. 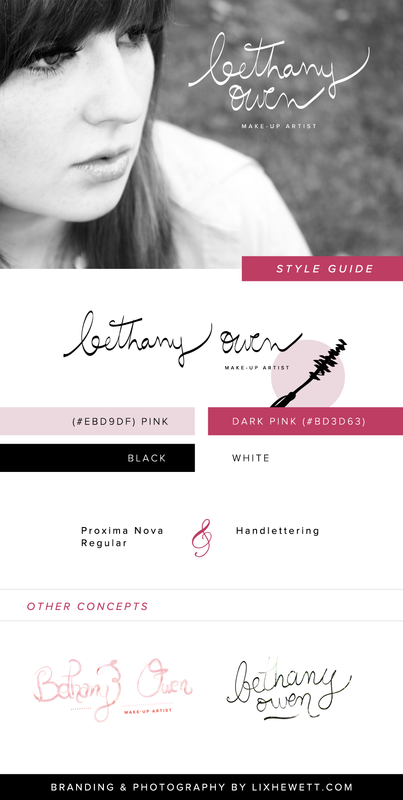 The style guide was rounded out with shades of pink and an image logo featuring a hand-drawn mascara wand for her favicon. 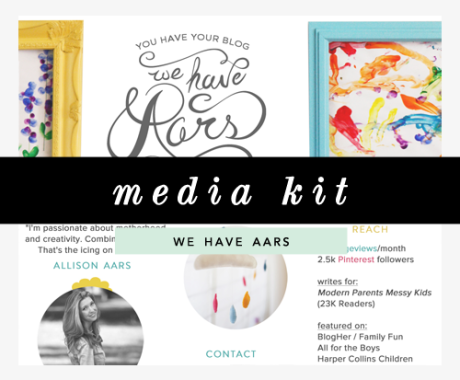 The website, built on Squarespace, includes a cover landing page, a homepage slider, custom portfolio and about pages, and a blog. It showcases her work in a beautiful, organized way that stays true to her style as a makeup artist and as a person.